Macross DYRL is in Bamboo Blade: Episode 7. Tamaki's kendo sensei gives her a laser disc of Macross DYRL as a gift. 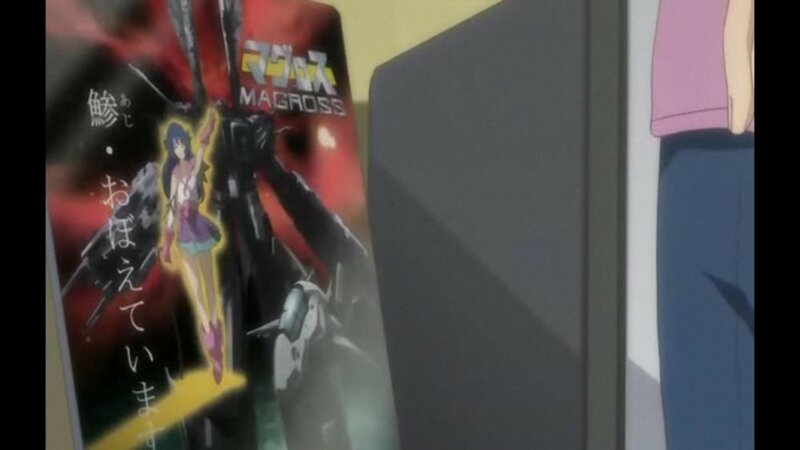 This was the last anime I expect to see Macross to me shown in. "Maguross Aji Oboete Imasu Ka" and the "Valkyrie" is shaped like a tuna fish hahaha! Nice find. It takes keen attention to detail to catch these details. Hehehe. 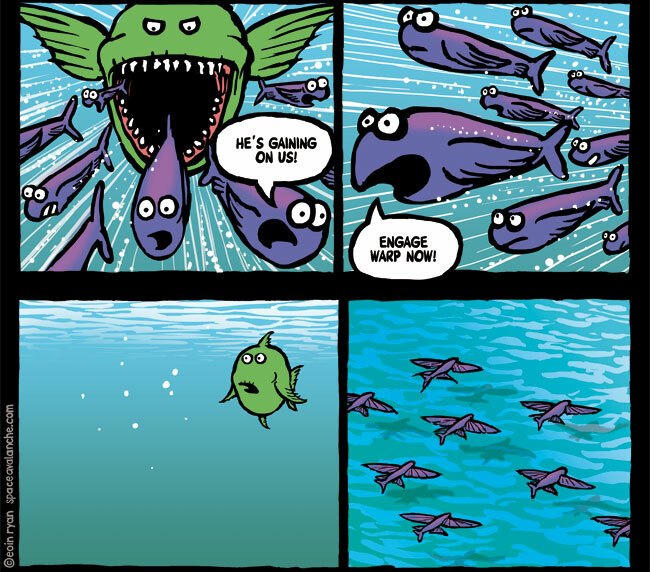 This is getting weirder and weirder... cool! Andrew Zimmern of the Travel Channel, while in Japan covered Cosplay, and every now and then you will see Sheryl and Ranka cosplayers. Speaking of Sheryl and Ranka cosplayers...watch this. Their travels start around the four minute mark. Yeah i just checked that out after it was linked on another forum. Not really the weirdest place to see something Macross related, though still a fun watch. I'm in Seattle this weekend, and I saw this when I went to the Science Fiction Museum. I can understand why it's not SDFM or DYRL. But why not M7 or MF? Wow that is rather strange. Did you ask anyone about it Einherjar? Nope, nothing strange about that. Why are you puzzled about it? The exhibit focused more on Western science fiction over the years. I think anime just got a nod because it only became widespread relatively recently. 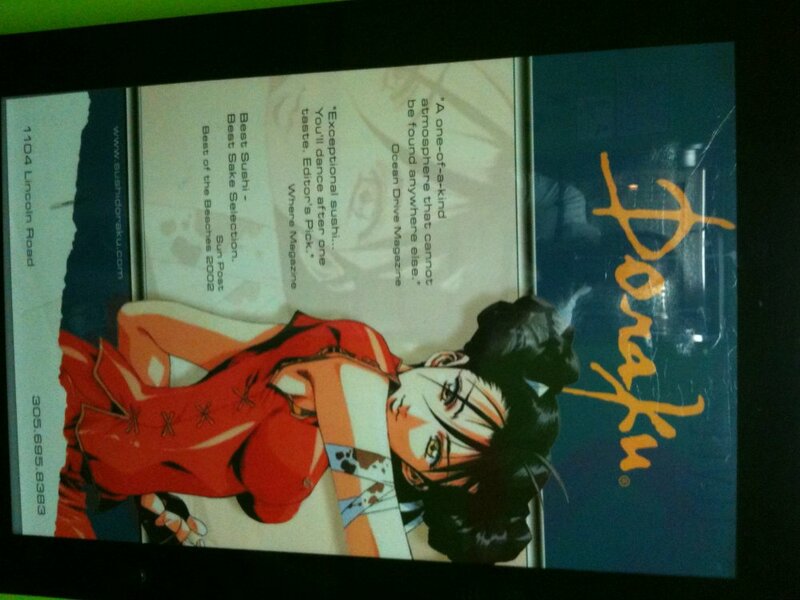 Unfortunately, whoever made the exhibit probably took a random bunch of sci-fi anime to display there. For example, there were models of a mech from Five Star Stories and Char's Zaku and Sazabi from Gundam, but not the first Gundam itself. Think of it this way, if there was something more familiar/extravagant from Macross, a certain U.S. company would be all drama queen about it. I was actually pretty happy to see the main characters of Appleseed on there! 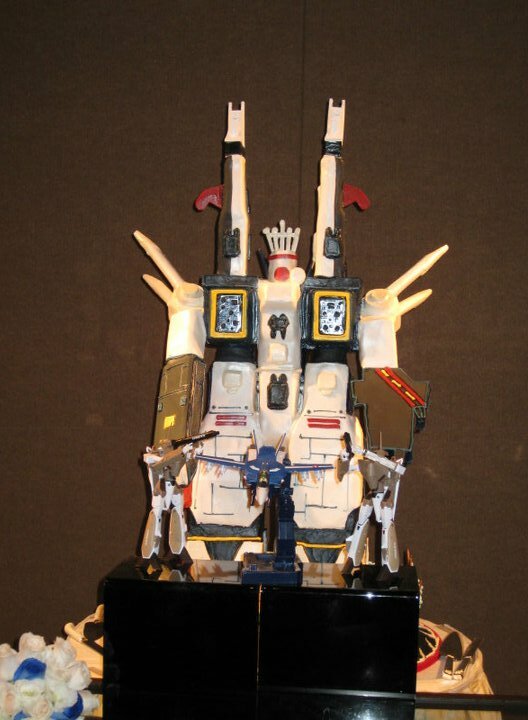 Friends wedding cake was a giant sdf-1 with two cf vf-1a doing the honor guard for a swooping vf-1d virgin road. ^Epic cake is epic. Shame the whole wedding wasn't Macross themed. Not exactly Macross but it did remind me of Macross Zero. I could never eat such an epic piece. Seriously. Now if it was covered in dark chocolate, then maybe. I'm currently playing Final Fantasy XIV and happened to see a character named Hikaru Ichijyo and Ranka Alto. Does that count? Going by the expressions on some of the audience members, they have no idea what it is. Agreed. Also am I the only one thinks it probably not just be a mere coindence that the next slide they used was of Tobey Maquire as Spiderman? Looks a lot like a Ranka costume on the Office. The website I found this picture says its Katy Perry. Saw this sushi bar advertisement this past weekend in a parking garage on South Beach...looks like Minmei moonlights Nyan Nyan somewhere on SoBe. ^Just your typical female anime character in a china dress. She does look a little bit like Minmay though. 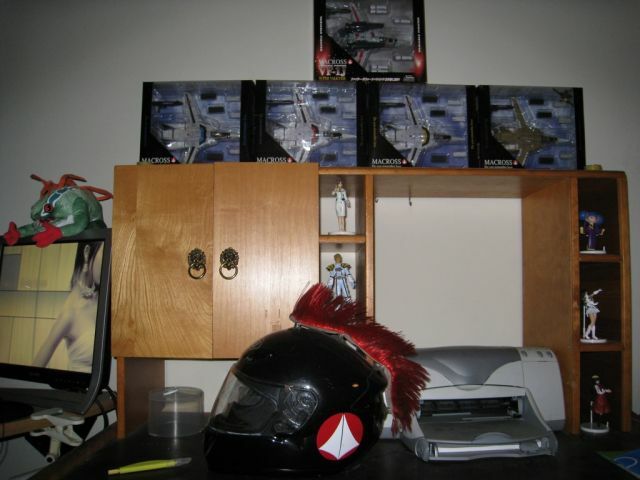 Captain Glovaal, yes I know that is the robotech version of the name but close enough. I see that all the time on the expressway and I still failed to make the connection... So, can Big West sue DMCI now?